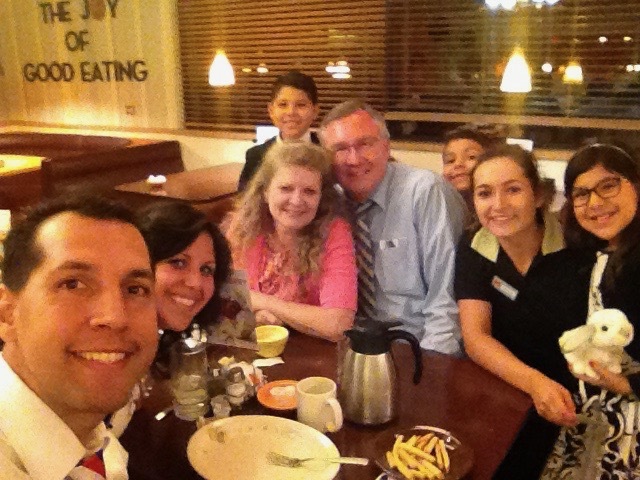 A few weeks ago Pastor Lenentine took us out to eat at Village Inn in Rio Rancho, New Mexico. While there our waitress gave Lilianna a stuffed bunny rabbit. (She had noticed that our children were trying their best to behave and use their manners, so she wanted to do something for them.) During the meal I asked her when her shift ended, and that I wanted to ask her something before she went home. She agreed. After we were done eating she came over to our table and I asked her if she knew for sure that she would go to heaven when she died. She gave me the usual answer, “I’m a pretty good person, and I believe in God.” But when asked again, she said that she wasn’t 100% sure that she would go to heaven. I explained what the Bible says about heaven to her, and then she prayed right there at our table! It was so exciting for my daughter who was standing right next to her for the whole conversation. We invited her to church, snapped a quick picture, and soon left. As we left the restaurant, Lily told us that she was going to name her new stuffed animal after our new friend, Rachel. God only knows how many more people there are out there who would accept His forgiveness for sin this very moment if there were someone who would simply tell them how. As with most things here in Chile, obtaining a national driving license is quite complicated. We have been trying to get ours for about a year, and are no closer now than when we began. There are quite a few hoops that we are having to jump through before we can even sign up for the driving license process. I’ll take you start to finish through the process (or what we understand of it as of now). Thankfully we already completed all the paperwork for this several years ago. Getting a driver’s license wasn’t on our mind at the time because we didn’t have a vehicle. It’s a good thing that this was done because it took over a year to complete all the requirements for this step. This may sound simple to you just as it did to me when I first heard it. After all, both Sandra and I have high-school diplomas and a 4-year Batchelor of Science (Golden State Baptist College). Proving that we have at least an 8th grade education shouldn’t be that difficult. Well, that is where we were wrong. For an academic diploma to be recognized by the Chilean government, it must be 1.) Legalized by the country of origin, 2.) Stamped by the Chilean consult in that country, 3.) Stamped again by the department of Foreigners in Santiago (there is only one office in the country that does this), and 4.) Translated by the same department (but this must be done as a completely different step because you must pick up your document and then turn it in again to someone on the other side of the room, after having waited in line to pick it up, and than again to turn it in), and finally 5.) Stamped by the department of Education. Your diploma (which by now will have a minimum of 4 stamps on it) must be taken to the Government office in your area. Then, and only then, can you procede with signing up for the driving class. We were about to send our diplomas back to the USA to have them legalized when we were told by the regional head of the department of education that EVEN IF WE COMPLETED THAT WHOLE PROCESS, OUR DIPLOMAS WOULD NOT BE RECOGNIZED because only Spain and Japan have an academic treaty with Chile. Apparently the rest of the world’s education systems don’t hold a candle to that of Chile! Because our elementary education is not valid here, we are going to have to take an elementary version of a Chilean GED. The only problem with this is that it is only administered once a year in our region (and you can only take it in your region of residence). You must sign up in March, and then by October you will have had your one chance to take it that year. Don’t fail or you will need to sign up in March again! I’m pretty confident that Sandra and I can pass most of the tests, but the one that worries me is National History. We’d better start studying. Thankfully we found a loophole in this insane system. We can get an international driving permit (issued from the USA) that allows us to drive for up to a year in Chile. That being done, we should be OK until we can finish jumping through the rest of the hoops. You may now drive legally in Chile. 2 Weeks ago we started Jr. Church. Up until then the children and babies had been in the service with the adults. We had been wanting to start a kid’s class, but the timing had not been right, but that has all changed now. There are 8 kids and 4 babies that regularly come to church with our families, plus any visitors. 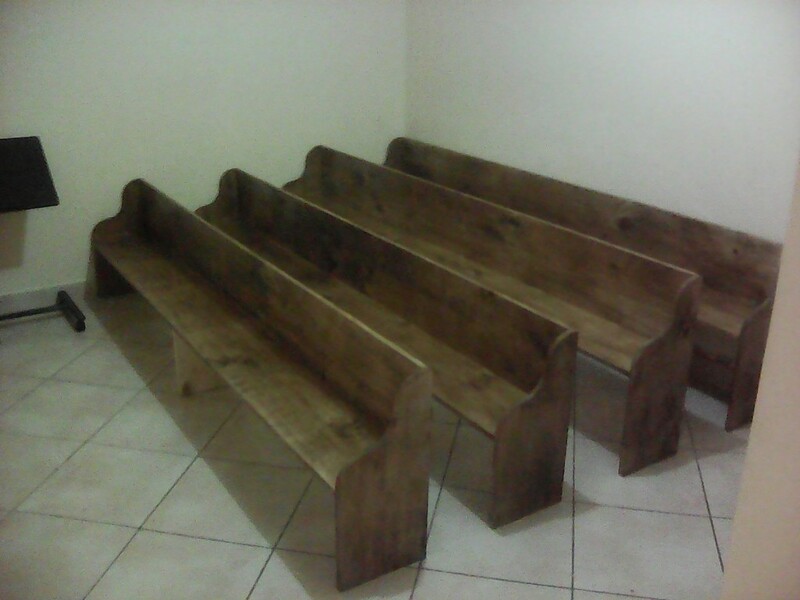 We made these benches and a stackable crip/changing table to be able to fit in the small room in the back of the church. So far the kids have been loving the class with Sandra teaching, and the mothers have been letting their babies stay in the cribs when they can. After the first kid’s class I asked them who was a better teacher, me or Sandra. Sandra won hands down! Last night I preached to our church a sermon titled ‘Your Part in the Circle’. It was based on 2 passages in Matthew. The first was 16:15-18, and the second was 28:18-20. I would like to briefly share it with you. Constantine (313 A.D.) began the Catholic church with the purpose of increasing his own power. My, how it worked! For the next 1,200 years the Catholic church wielded more power than any king in the millennium. Charles Taze Russell (1879 A.D.) began Zion’s Watch Tower and Herald of Christ’s Presence (predecessor to the Watchtower Society of Jehovah’s Witnesses). Through the sales of religious materials he amassed a personal fortune equivilant today to 7 millions dollars! Joseph Smith (1831 A.D.) began the Mormon church and, through his self-appointed authority as prophet, publicly took to himself at least 33 wives (and who knows how many more in private). There is little to be imagined as to what his motive for starting the church was. Many of the modern-day cults have also been started for various reasons, and many have accomplished their purposes. What then is the purpose of true Christianity? To find the answer one must only look to its founder, Jesus of Nazareth. Jesus’ purpose on earth was one thing only – the salvation of sinners. 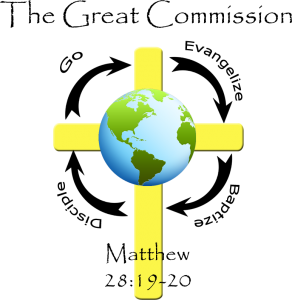 He said in Matthew 18:11, “For the Son of man is come to save that which was lost.”, and again in John 3:17, “For God sent not his Son into the world to condemn the world; but that the world through him might be saved.” Jesus’ single and solitary purpose was to save us. As seen in the examples above, many others have twisted the purpose set forth by Jesus to accomplish their own purposes, and they have done so in a variety of methods. Jesus, however, gave the church only one method, and He backed it with His authority and blessing. That same method that was used 2,000 years ago still works just as well today. For us to invent other methods is unproductive and destructive. In Matthew 16 Jesus said that He would build the church, and protect it. Therefore, it is not our job to worry about the building of the church. That is Jesus’ responsibility, not ours. We get ourselves into trouble when we start encroaching on His responsibilities, instead of focusing on the ones that He gave to us. This being the case, the success of a church is not measured by its size, but rather by its obedience to Jesus. The first command is ‘GO’. Many churches are content with trying to get people to COME to church. There is certainly nothing wrong with someone getting saved in church (in fact it happened in our church last night! ), but you will be hard-pressed to find a Biblical example of this. In the vast majority of the cases (if not all), people were saved in their homes, in the streets, in jails, and in common gathering places like the Jewish synagogues. The church was the assembly of those who had already believed. There certainly is no wrong place to get saved, but the problem is that if all the evangelism that a church does is within its own walls, then it has not fulfilled the first step of the Great Commission. We must all purpose to regularly GO to where the sinners are. Every fisherman knows that if you want to catch fish, go where they are biting. James 2:17, “Even so faith, if it hath not works, is dead, being alone.” Romans 10:14, “how shall they believe in him of whom they have not heard?” To believe something, one must know of it, and to apply your belief, one must act on it. And so it is with salvation, to be saved one must understand how it works, believe it, and ask for it. We must teach others of the free salvation that Jesus offers to us, and help them through the formula of faith. 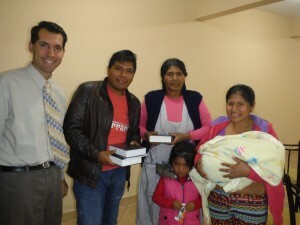 The third part of Jesus’ method is to ‘BAPTIZE’ those who have been evangelized. Simply put, baptism does not save us, it rather identifies us with He who has saved us. Just as a wedding ring identifies a man with his wife, baptism identifies us with Jesus. Both the ring and baptism are physical representations of spiritual decisions. For us to complete the Great Commission, we must follow Jesus’ instructions and baptize the believers. This is not an exhaustive study on the doctrine of baptism, just enough to mention what it is and where it appears in Jesus’ method of church-building. The final part of the Great Commission is to ‘DISCIPLE’ those who have been baptized. It is here where the church teaches the new convert the ‘everything else’ of Christianity. This should be a 2-part process: the Basics of Christianity (sometimes referred to as ‘milk’), and the continual learning of the Christian faith (often referred to as ‘meat’). As soon as someone is saved, they should begin studying the basics of Christianity “that ye may grow thereby” (1 Peter 2:2). When they have successfully finished this basic training, they should immediately begin the circle of the Great Commission with others who are not yet saved. One doesn’t have to be a Bible scholar to go soulwinning or teach basic Bible doctrine. He just needs to understand it sufficiently. At this point it becomes his responsibility to become a teacher to others. Hebrews 5:12, “For when for the time ye ought to be teachers, ye have need that one teach you again which be the first principles of the oracles of God; and are become such as have need of milk, and not of strong meat.” If one does not take the step of becoming a teacher at this moment, he will revert to be one that needs to be taught again. Last night I called several children to the front of the auditorium to help illustrate this process. I represented the original soulwinner and completed all 4 steps with the first child, my daughter, Lilianna. I then turned her around and walked with her to the second child. Lily completed the process with the second child, and so on. The process was clear. There are 2 schools of thought on the completion of the Great Commission. The first states that it is the responsibility of the PASTOR. According to this idea, the growth of the church can happen, but it is a very slow process. If the pastor successfully disciples 5 families each year, in 10 years there will be 50 families that have been discipled. Of those, many will not last because they don’t personally have Jesus’ purpose in their lives. The second school of thought is that the Great Commission is the responsibility of the CHURCH, the entire assembly. According to this idea, the growth of the church is exponential. If each family disciples only 1 other family each year, in 10 years there will be 1024 families that have been discipled. Of those many will end up leaving to start their own ministries, and the growth of the church becomes even greater still! In short, the entire sermon was geared to this end: if we do our part, Jesus will do His. It was James Hudson Taylor that said, “God’s work done in God’s way will never lack God’s supply.” The same is true for this truth. If we fulfill the Great Commission, Jesus will build His church. 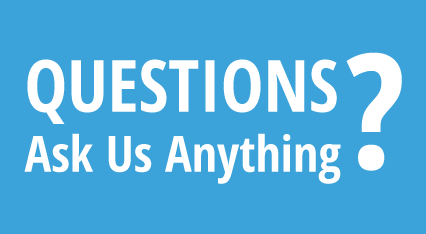 The invitation questions were very simple: 1) Are you saved? Do you know for sure that your sins have been forgiven? 2) Are you stuck somewhere in the circle? What is the step that you are stuck on? 3) Is it time for you to start your own circle with others? There was a good response: 1 was saved, and several determined to take their next step. We met Mei at the American Corner a few months ago. She is a university student who comes to the American Corner quite often. 2 Weeks ago I had the opportunity to witness to her, and she got saved. It is amazing to see how God will increase someone’s faith by simply listening to the Gospel! A question that I regularly ask people immediately after they get saved is, “Now that you are a child of God, what kind do you want to be – obedient or disobedient?” Mei’s response was, “Obedient, obviously.” She then agreed to come to church to learn more about God’s Word. Last Sunday Mei came to the church service. How exciting! Lily went to sit by her and shared her Bible for the Sword Drills and also the sermon. I preached that night on the ‘The Umbrella of Authority’. It was kind of interesting because it doesn’t ever rain here, but the concept was understood. After the service Mei stayed spoke with Sandra for a while, and then told us that she really enjoyed the church service and would be back the next week. Yesterday we saw her again at the American Corner, and she told us that she told one of her friends about the church and that she would be joining her this Sunday. Next month she will begin to study the ‘One Step’ discipleship series written by Pastor Mike Ray. Please pray for her that she will continue to grow and learn about what God has planned for her. Sorry for the length, but the blessings are in the details. Last month we received some disturbing news. Several years ago, while on staff at Calvary Baptist Church in Middleburg, FL, we purchased a house. 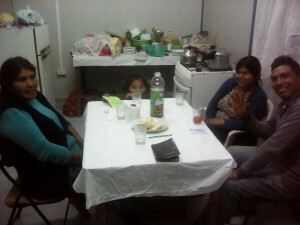 When we went to the mission field we rented it out so that we could continue making the monthly payments. Such has been the case to this day. The disturbing news was that the most recent tenant had packed up and disappeared, and had left the house a total disaster. That night Sandra and I prayed about the situation and asked God for wisdom in handling it. The following is the incredible story of how God answered our prayer and how he takes care of us. Knowing how much it would cost for the labor alone for just the painting, we decided to look at a plane ticket for me to go and do the work myself. To our amazement, we found a ticket for $650 round-trip, with only 2 days anticipation (normal prices are around $1,200)! We prayed about it again and then bought the ticket. In the airplane, I had this thought, “I have no tools, no money, no vehicle, and no phone. Lord, I’m going to need your help.” Little did I know how He had already begun to line things up for me. My plane landed in Jacksonville at about 11:00 PM (after 25.5 hours of travel time), and I was picked up by Pastor Anthony Jones. He brought me back to his house where I slept in the guest room. The next morning Pastor Jones gathered up some of his painting tools for me and took me to our house. I managed to find a way to the front door and went in. Bro. Jones was correct when he told me that I needed to see the house for myself. The walls were half-way painted all through the house. Apparently, the previous tenants had painted the house in some very interesting colors (lime green bathroom, dark brown master bed room, and Lightening McQueen Red and dark Blue in the other bedrooms). They tried to cover it up with white paint, but ran out half-way through the living room. Nothing was cut in or covered completely (the colors still shown through the white cover paint). The 3 bedrooms had carpet in them, but had been so destroyed that they were unusable and would have to be replaced. There were holes in the wall that needed to be patched, and a thick layer of dirt and animal hair that covered everything. On top of that, several of the doors were broken and off the hinges, and one door was missing entirely! I tried to go out the back door to see what the yard looked like, but couldn’t open it because it was blocked by something. I went back out the front door and around the house to find that the wooden fence separating my property from the neighbor’s had been cut down and was leaning up against my house! I walked back to the front yard feeling a bit overwhelmed. Not only did I not have anything that I needed to do the work, now I was sure I would be short on time because of the amount of work to be done. It was at just that time that the next blessing came. A brown van rounded the corner and I saw the silhouette of someone waving at me from inside. I didn’t recognize them, but I decided to wave back. After parking, the couple came quickly over to me asking if I were the owner of the house. I told them that I was, and that I was there to get the house rent-ready again. They introduced themselves as Damon and Glory, the owners of the house next door, and then assured me that the pile of palm trees in the front yard would be gone that morning. They were also responsible for the torn-down fence, and that they were going to be building a better fence between the properties. I assured them that I had no problem with the palm pile, or with the fence. They were quite relieved. Little did I know how God would be using them to help me over the next week. I left Damon and Glory to their work and walked down the road to the Verizon store (about 5 blocks away). It always amazes me when returning to the States how spread out things are! When I finally got there they told me that they couldn’t get me the prepaid service that I needed, and that I needed to go to WalMart to get it. WalMart was another 5 blocks in the opposite direction, so I forgot about getting a phone and went back to the house to start working. I decided to tear out the carpets first, it seemed like the easiest, quickest thing to do that I didn’t need to buy any materials for. After pulling out the first room, Glory came over and asked where I went. I told her that I had walked to the store, but that I still needed to go to another store. When she heard that, she said, “I didn’t know you were walking. You won’t be doing that again.” 5 minutes later, Damon came in to where I was working and told me to get in his truck and that we were going to WalMart. Thank you, Lord, for free transportation! I bought a phone with a month of service, bananas, PB&J, cereal, and a gallon of milk. We then went back to the house. I was able to finish tearing the carpet out of all of the bedrooms that afternoon, but could not get the floors completely cleaned because the carpet pad had been glued with Liquid Nails all through each of the rooms. The 2-inch scraper was not going to be able to clear 450 square feet! “Lord, this sure would be a lot easier and quicker if I had the right tool.” I did what I could before it was time to get ready for the Wednesday evening service. After the service Nate, one of the teen guys, invited me out to Sonic for a quick bite to eat. He bought us a few sandwiches and drinks. It was great to catch up with him and what God has been doing in his life. As we finished up, he told me that he could come over and help me the following afternoon. After Sonic, I went to Mrs. Lee’s house to pick up an air mattress that she let me borrow for the whole time that I was there. That was an incredible blessing! Not only did she give me the mattress, but the air pump that goes with it! Also, sheets and blankets, and towels. I went back home praising God for His goodness toward me. The next morning I woke up and began the tedious task of scraping the glue off the cement with my 2-inch scraper. Not long after I had begun, the front door opened and in came Damon and Glory. They had brought me a cup (and thermos) of coffee, and a home-made egg, bacon, and cheese muffin. Cereal was going to have to wait! We ate breakfast, and then Glory said, “I almost forgot. I brought you something that might help you some.” Outside, leaning against the house, was the most beautiful sight for my blistered hands – a pole scraper! Now the job that was going to take me way too long would only take me about an hour. What a blessing! It was then that I remembered telling God the day before that I would like to have had the correct tool. He sent it to me, with breakfast and a cup of coffee! That morning I finished up preparing the bedroom floors for tile. At lunch time I was about to open up the PB&J when Glory told me that Damon had been slow-roasting some chicken wings for lunch, and that they were almost ready. We ate as many wings as we could handle. What a blessing! Not only that, but when we were done with lunch Damon asked me if they could keep the left-overs in my refrigerator. “Sure,” I said. That became dinner for me as well as lunch. After lunch I went to the tile store to get materials. I found a nice looking tile for the price that I was expecting to pay. I bought all the materials using my friend’s credit card from the night before! I know it is me paying for it out of my van sale, but it was great because I didn’t have the cash to be able to do it right then. God supplied my need! When I got back to the house, Ryan, a young man that I had some influence with a few years ago, had arrived at the house to help me work. He helped me to unload all the tile (not a small job) and place it in the appropriate rooms. We spent the rest of the time talking, but it was a big blessing to me to have his company for a while. After he left I begun to lay the tile. I got a little of the tiling done, and then Nate called me to come and pick him up. I lost some time in going to get him, but we gained it back and then some once we began working. We had a little system going before too long. Phil (Nate’s cousin) kept us supplied with tiles, I spread the mortar, and Nate laid the tiles. We worked until about 11:00 PM and then I took them home. I remember thinking, “Lord, I don’t have enough time to get this done.” That’s when He sent me help to do it quicker. The next morning Damon and Glory walked in the front door again holding a cup of coffee and breakfast. After we ate, I continued to lay tile, and they continued with their fence project. They had been using the bathroom in my house because their house was occupied by tenants, but the bathroom was where I was keeping my dirty clothes. Sometime that morning, Glory came to me and told me that if I would put all of my dirty clothes in a bag, she would take it and do a wash for me. That was great news because I was currently on my last set of work clothes! Sometimes God answers prayers that we don’t know that we should be praying yet. After lunch I went to go speak with the property management that had allowed the house to get to such a state. We had a difference of opinion about their responsibility in preventing what had happened. “I’m getting that you are not happy with the situation.” said the manager. What an understatement! “That’s correct.” I told him. We decided to terminate their contract and management of our house, but before I left he gave me some advice. “Steve,” he said, “you’ll never get a decent amount of rent out of that area. The best thing that you could do in your situation is simply stop paying your mortgage and let it be re-possessed. Your credit will go down, but you’ll recover. I don’t think that they’ll come after you for anything else.” I couldn’t believe what I was hearing! I was glad for the confirmation that God was giving me at that moment that I was doing the right thing by terminating our relationship. However, I did leave a bit discouraged as I went back to the house. As I pulled up to the house, Glory came out from the side yard where they had been working. “I have some good news for you!” she said. “I just finished talking to Skip (a neighbor a few doors down) and he is listing his house for $1,100/month, and it is only a 2-bedroom house.” What an encouragement! Proverbs 25:11 talks about ‘a word fitly spoken’, those definitely were the words I needed to hear. I spent the rest of the afternoon and evening laying tile until I ran out of tile. I had almost finished laying all 3 bedrooms. Saturday morning Glory and Damon walked through the front door again bringing me breakfast and a cup of coffee, but this time they also brought back my bag of freshly washed and folded clothes. Just in time! We ate and then I set off to buy the tile that I lacked and the grout. Upon returning I began to cut the tile pieces, something that I had never done. Bro. Jones had lent me a sliding tile cutter, but I didn’t know how to use it. I had tried to use it earlier, but ended up breaking the tile. But now I had to use it, there was no other way. It’s at times like these that I turn to YouTube. After watching a quick video, I learned what I was doing wrong, and then began to cut them correctly. To my surprise, they cut perfectly! To paraphrase Hosea 4:6, “My TILE are destroyed for lack of knowledge.” Now equipped with the ‘how to’, I started cutting and laying the special tile pieces. After lunch (again provided by Glory and Damon) Damon went to the hardware store and picked up a few tools that I needed for painting the interior of the house. When he got back, he told me that he had purchased the tools, and that they were his, but that I could use them for as long as I needed before giving them back to him. In other words, he bought the tools I needed just so that I could use them! God is again providing for my needs again. That evening I went to visit with the Greens. It was great to see them again. Few people have been as good to us as they have. Since the day we arrived to Florida, the GG and Poppy Green have been like grandparents to our children. After the visit I went back to the house to continue cutting tile. Sunday morning I awoke to a strange sound, like banging and breaking. From the window I saw that the neighbors were coming through on their promise to clean their yard. It’s one thing to have a promise, it’s quite another to see it followed through! After that surprise, I got ready for church. This Sunday was Pastor Pledger’s 30th anniversary of being the pastor at Calvary Baptist Church. There was a guest preacher, and many of the people who hadn’t been there in a while were in attendance. After the morning service there was lunch-on-the-grounds. I saw that as yet another way that God was supplying for my needs. Since my first day of my trip, I hadn’t had to buy my own meal! Back at the house I continued to cut tile. What a project! 5 days into the trip and I still hadn’t finished the first job! Just before the evening service I had finally finished cutting the last bit of tile. That was finally done, but there was still so much more to do. I had 1 week left, and still had to paint both the interior and exterior, and do various repairs. After the evening church service I saw a few of the guys playing basketball in the parking lot. It has been a few years since I played, so I joined in. It was refreshing to get my mind off of the house for a while. I didn’t win (Bro. Matt won), but I still had a great time. After we talked for a while, I went back to the house. Knowing that I had so much left to do, I decided to prepare the interior walls for painting. 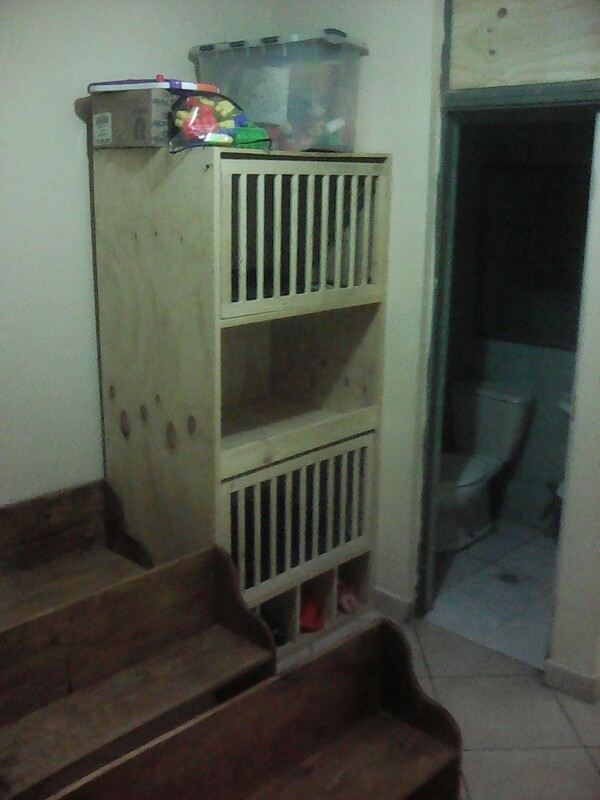 Because the walls were so dirty and dusty, they needed to be lightly scrubbed with sand-paper. By the time I finished that, I still wasn’t extremely tired, so I started to prime the walls. I hadn’t planned on it, but I ended up painting the whole night. Finally, at about 7 AM, I finished and then laid down for a few hours. That morning I had to return the truck to Bro. Martin Monday afternoon, but Bro. Tim Pledger let me use his car for the day, so my transportation was still being provided. I picked up Nate again and we went to the house to begin painting the OOPS color. It was great to have his help again. We painted the entire house that day. He rolled the walls, while I cut the edges. On the way to Nate’s house, he laughed and told me, “Bro. Reyes, I hate painting.” I’m glad he was willing to help no matter what we were doing. Tuesday morning I had to pick up Bro. Tim and take him to the church, because I still had his car. We got to fellowship for a while, and then I headed back to the house to begin painting the trim a bright white gloss. That took me the rest of the day! I eventually I traded Bro. Tim’s car back for Bro. Martin’s truck. That evening I went to a special evening service preached by Bro. Fugate. It was an encouraging passage about the end of the world. Sound’s funny, but it was very true. I was able to talk with him for a short time after the service, but I wanted a little more of his time. I asked Pastor Pledger if he would mind if I took Bro. Fugate to the airport in the morning. We arranged the time and meeting place, then I want to the fellowship hall for another free meal. God is still providing for me. Earlier that day, Pastor Jones called me to tell me that someone had given him 10 gallons of exterior paint that he couldn’t use, and he wanted to know if I needed it. If I thought 5 gallons for $30 was good, 10 gallons for FREE was better! Once again God is providing for my needs. I picked up the paint that evening at church. I knew that I had to be up at 5 AM to go pick up Bro. Fugate, and since I really didn’t want to miss my appointment, I decided to work through the night again. This time it was grouting. The night passed quickly, and soon it was time to pick him up. The conversation was wonderful, however short. At the airport we prayed and then I went back home to sleep until about 10 AM. Wednesday morning I had to go back into town to pick up another bag of grout because I ran out the night before. More grouting and some more painting filled the time until the evening church service. After the service, Aaron (another former teen that I had some influence with) asked me if there was anything that he could help me with the next morning. He said he would be showing up at about 8 AM. After leaving church, I went to visit with Mrs. Lee and her family for a while. They are another family that God has used over the years to be a tremendous blessing to our family. Thursday morning at 8 AM, Aaron arrived and we began painting the outside of the house. I don’t know if either of us really knew what we were doing, but we were sure trying. It was great to have a chance to talk while we were getting things done. It was a great help to me because it was saving me time, which I quickly running out of. After we finished with the front of the house we stepped inside the A/C for a quick break. It was then that we heard a knock on the door. Skip (the neighbor that had given us some encouraging news of rental prices in the area a few days ago) came in the house holding a strange looking machine. “Do you know what this is?” he asked, holding up his machine. He continued, “It’s a paint sprayer. I bought it a few weeks ago when I was painting my house. It helps because it gets into all the cracks that a roller cannot reach. It saved me a ton of time.” “Are you offering to lend it to me?” I asked. “No,” he replied, “I just wanted to show you that I had something that would help you a lot, but I really don’t want to let you use it.” He laughed as he said that he was just joking. “Sure I’ll let you borrow it. I actually have a little free time now and will paint it myself if you want.” He ended up painting more of the house in about an hour than Aaron and I had in the whole morning. When his time was up, he left the sprayer for me to use until I finished the whole project. God was once again supplying for my financial and time needs. The rest of the afternoon was spent picking up more things from the store, and finishing up some interior painting. Friday morning I started painting and by the afternoon, I had finished painting the rest of the exterior, thanks to the sprayer that Skip had lent me. I also took some pictures of the house and listed it on the internet. Within just a few minutes I was getting calls on it. What a surprise and relief! It was wonderful to know that the price was good for the area. So much for the advise to let it go into foreclosure! By that evening, several people had come by to view the house. Saturday morning was spent changing power outlets and light switches. I needed to work on the outside replacing some siding panels, but it was raining. So much for that. At noon I drove over to Pastor Jones’ church for a Father’s day luncheon. There were quite a few men there, and there was quite a bit of food. We listened to a great lesson on fatherhood taught by Bro. Chaffin from Calvary Baptist in Middleburg. What a blessing Pastor & Mrs. Jones have been to me and my family. After the meeting it was still raining, so I continued to work on the power outlets. Those things took what seemed like forever to change out! I finally finished with them and began to take care of some smaller things. That evening Skip came over and I was able to get a whole lot of rental advise from him. He owns several properties and was full of good advise. Our conversation turned eventually to the Bible, and we spent a good while talking about spiritual things also. It was quite refreshing to be able to be able to express my thoughts completely and be understood fully. I’m not used to that any more. He eventually left and I got some sleep. I must confess that Sunday morning was difficult for me. I knew that I needed to be in church, but I also knew that my time was up and I still had to clean the house, replace a section of the siding, and other small fixes. I went to church because it is right, but the whole time I was there it was difficult for me to focus on anything because of all I knew I had to do still. After the service I raced home and, to my surprise, found that some of the small fixes in the front of the property had been taken care of. I paused for a minute because I knew that I had not done them. The sun was out so I quickly changed and got ready to start working on the siding. Before I could get outside I heard someone walk into the house. “Skip, is that you?” I asked. He replied that it was. Then I asked, “Did you do some work on my house this morning?” “No,” he replied, “It was some random guy running through the neighborhood with a caulking gun.” I thanked him for his help, to which he replied, “Don’t you still have some work to do? Would you like some help?” We then started working on the siding together. About half-way through the project, some other neighbors that I had spoken with a few days ago came over to where we were working carrying their own mops and buckets. “Could you use some help cleaning the house?” they asked. I couldn’t believe it. That was the only thing left on the list that I wouldn’t have time to do. They cleaned that house from top to bottom, and even inside and behind the refrigerator. I felt like Nehemiah being taken care of by the good hand of God, and like Elijah being fed by birds. It was almost too much to believe. That night I preached the evening sermon at Calvary. The message was about God’s goodness, and how his power works through the obedient Christian. The people of the church were so encouraging to me, many of them placing money in our hand-shakes, and others giving me their blessing. After the service I met up with Dawson and Gabby (a former teen girl we had some influence on) who had recently celebrated their first year anniversary. We went to Sonic and had a shake. It was great to talk and get to know Dawson a little better. Monday morning I had to return surplus materials, return borrowed vehicles and tools, and say ‘good-bye’s to loved ones. The house was finished! I left it in the hands of some friends to manage, and then drove away. Mrs. Green dropped me off at the airport, and 20 hours later I arrived back in Tacna, PERU. There was one obstacle getting back to the house. A group of local truckers had been on strike and had blocked the only border crossing into CHILE. The taxi driver took me as far as he could, and then I had to walk the rest of the 4 kilometers into town, my 4 suitcases in tow. God sent a man with a hand-truck to help me with half of the bags, which made the last 2 kilometers much easier! Finally arriving to the house I found the front porch with a banner on it, “Welcome Home Dad.” It was great to be back with my wife and kids! That night Elisha prayed, “I hope Dad never had to go out of the country again.” Me, too, Elisha. Me, too. 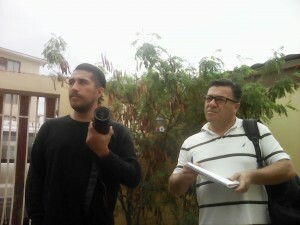 “So, how do North Americans celebrate the 4th of July in Arica?” This question was asked to us by the newspaper reporters pictured here. At any given time, there are several Americans in Arica. There are 3 main areas that they associate with: 1) Mormons. Everyone here is familiar with the American mormon missionary. However, they are only here for a few weeks, and are not a family. 2) College Students. The university here has a foreign exchange program where students from America come and study here. Again, they are only here for a limited time, and are not a family. 3) Working Families. This is what the reporters wanted to get a glimpse of. They wanted to see how a real American family, that has been in the country for some time, celebrates the 4th of July. We are not sure how everyone in the States celebrates, but we do know what we do. We told the reporters that our custom is to get together with other Americans in the area, play patriotic music, and Bar-B-Que hamburgers and hot dogs. If there is enough of us, we try to play some games. Basically, the day is spent enjoying the 4 ‘F’s – Friends, Food, Fun, & Freedom. As a result of that conversation, our pictures and story ended up in the local newspaper. You can see pictures and read about it (in Spanish) using the links below. Please pray for them that they will be open to the Gospel. I am trying to get back in touch with them to get a chance to witness.